This coming January there will be 62 million Social Security (SSI) beneficiaries who will get 2.8% more in the form of a cost-of-living adjustment (COLA). Obviously any increase is an improvement, but exactly how much will go into a retiree’s pocket is not very encouraging. Having an extra $34 to $79 on each Social Security check could be helpful towards a better standard of living, if price inflation didn’t take up most of the increase. Before 1975, increasing prices in goods and services could drain value directly from SSI benefit payments, making budgeting a big challenge. But thanks to automatic COLA legislation enacted in 1975, CPI-W (Consumer Price Index-W) got tied to annual increases in benefits. So any time an adjustment was made, price inflation was automatically factored in. On the surface, it would seem like a retiree could maintain a basic standard of living. But the reality is, price inflation could quickly eat up most of the 2019 COLA adjustment, and leave retiree bank accounts essentially flat. 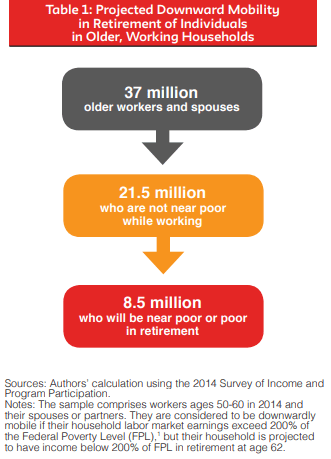 A recent Schwartz Center study may shed light on another uncomfortable reality for most retirees. If a single person earns less than $12,160 in a year, they are considered poor by Federal government standards. According to Teresa Ghilarducci, an economics professor who participated in the Schwartz Center study, that number “should be doubled”. Plus, some Social Security income can be taxed, adding to the burden. 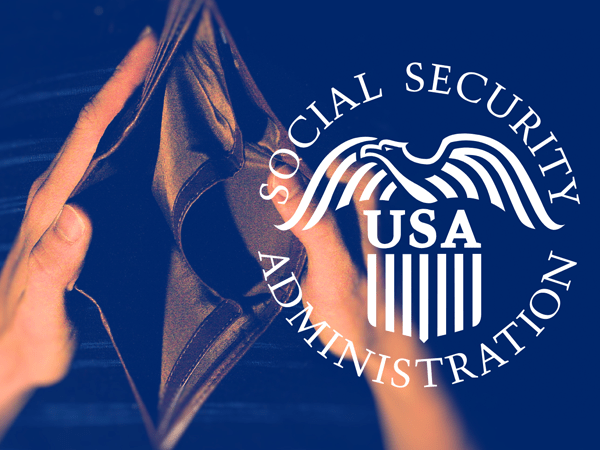 This recent cost-of-living increase also follows a period between 2009 and 2018, where there were three years with no increase in SSI benefits, as reported by internal Social Security Administration documents. Who knows if that might happen again? Medical care and housing, which make up a substantive portion of expenditures for seniors, are given less weighting in the CPI-W in favor of education, apparel, and transportation expenses, which matter less to seniors. The same article also highlighted a “34% drop in purchasing power” for Social Security dollars since 2000. Added together, it appears the “Golden Years” for a larger percentage of retirees may not be so “golden” after all. Experts recommend slashing your living expenses, retiring at the age where you’ll receive full payments, and keeping a realistic eye on your living standards. If you’re still working or nearing retirement, keep all retirement options on the table so you can form a solid plan. Social Security is a nice piece of insurance to have. And even if it doesn’t run out of funds (as many are predicting), it is still under intense financial pressure. The reality of price inflation poses ever-increasing challenges to retiring on Social Security and savings alone. But retirees still have options. Don’t let inflation drive your retirement into an early grave. Consider investing in physical assets like gold and silver that remain useful tools you can use to bolster your portfolio and ultimately your retirement.